First Actuarial had already aquired half the second floor of their office block in Leeds. 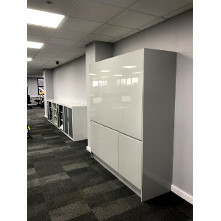 When the remainder of the floor became available the Client took the opportunity to expand into that area as well, almost doubling their office area. 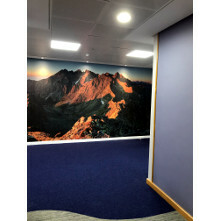 The office, although in a modern building, did not suit their requirements and future image. 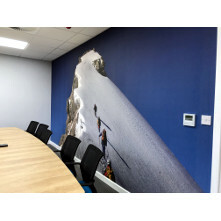 The design work was carried out by Michelle from An Eye for Design and over a period was tendered and retendered to maximise the Clients requirement while keeping an eye on costs. 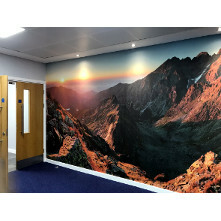 The works involved stripping out existing partitions, flooring, lighting and suspended ceilings, reforming offices and meeting rooms with solid and glazed partitions, replacing the kitchen, opening up the area to incorporate both the new and existing offices, upgrading the power and data, replacing lights, blinds, flooring, decoration and suspended ceilings and working with the Clients air-conditioning subcontractor to provide heating and cooling. 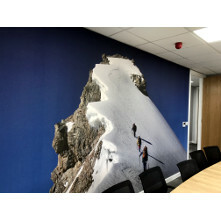 The decoration enhanced the modernisation by providing very large full wall stunning photographs printed on to wallpaper and adhered on to the walls with a spectacular effect.